Been working on it for about 3 days now heh. Had alot of trouble with textures and such, still looks kinda crappy. 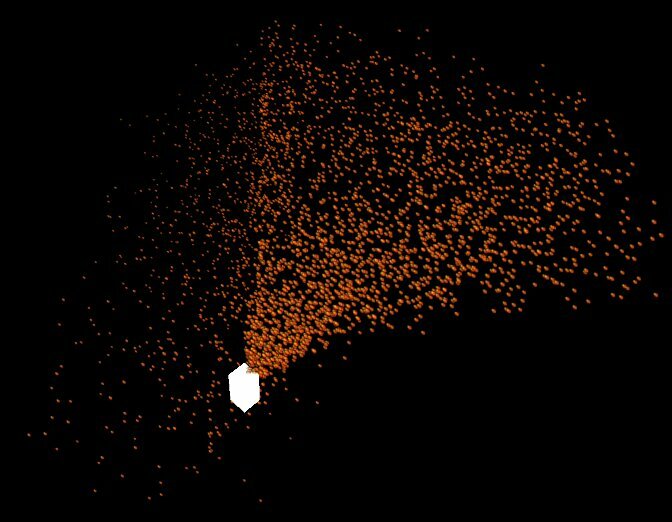 Not sure how to get that cool multiply effect that other particle engines have. About the blending: Currently, the OpenGL renderer mimics the behaviour of the software renderer which doesn't support this kind of blending and most likely never will. It would be possible to add the blending for OpenGL only...as an option, if you don't care about software rendering...i'll think about it, when i have time to. alright, just wondering is there a way to change the color of a object3d? You can set an additional color by calling setAdditionalColor(<java.awt.Color>); which may or may not suit your needs. For a unicolored object, just set a unicolored texture.